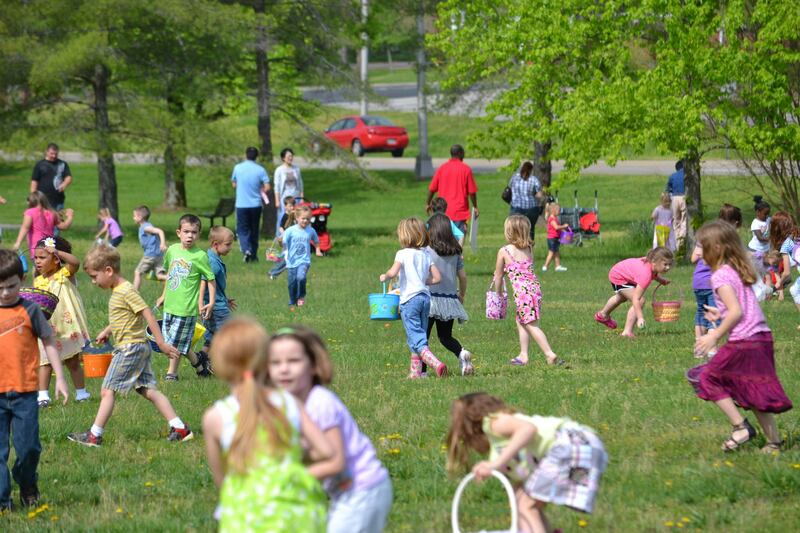 The City of Oak Ridge Recreation and Parks Department will host the 2018 Egg Hunt on Saturday, March 24, at 11 a.m. Hundreds of children and their families are expected to participate in this annual spring event. Over 15,000 candy and prize-filled eggs will be hidden in A.K. Bissell Park with a 1st, 2nd and 3rd place prize egg in each age group. This event will be held rain or shine, so participants should dress for the weather. If severe weather prevents hiding the eggs outdoors, they will be given away in the gym and prizes will be randomly distributed. Families should arrive early and assemble in the Civic Center gymnasium prior to 11 a.m. Participants will be divided into separate age groups and will be escorted to their respective hunt areas. The hunt is targeted for preschool-aged children (4 years old) up to fourth grade.